Zenith. What’s that, you ask? A Game Jam! But not just any game jam. In addition to the main theme (ascension) there were also 8 game deformers that each team had to include at least one of that would change up the rules. Tyler tried to include all of them! “No Way!” right? 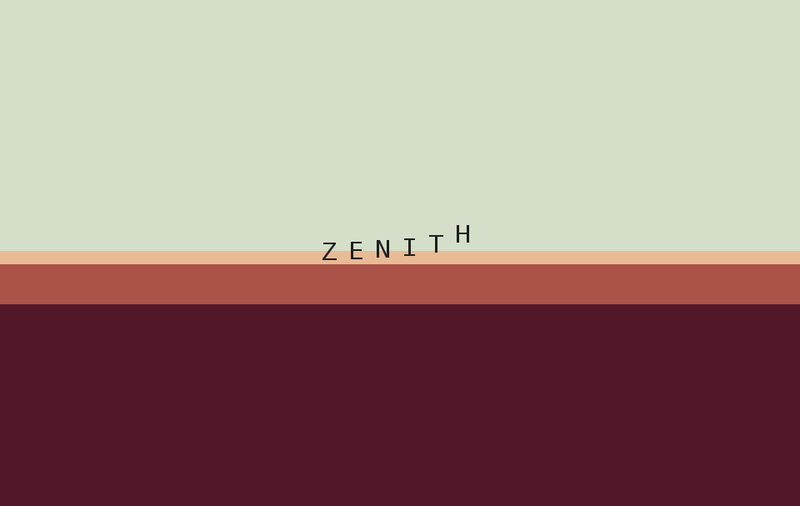 Zenith is an infinite room exploring text adventure game where you play until you run out of letters and die. The next person to play starts off right where you left off and you can leave secret notes to help them get further and further into the game. The writing was done by our very own Winston and everything else was done by Tyler!